FRESH INVENTORY! 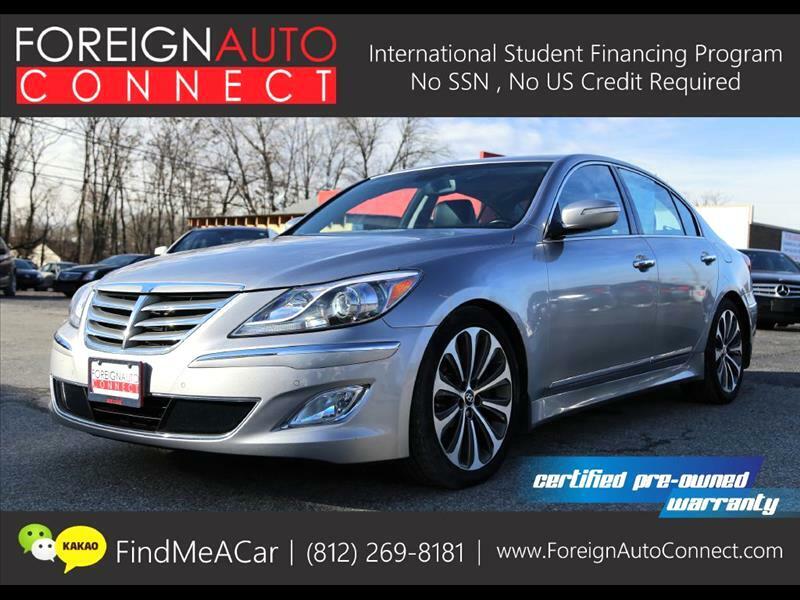 1 OWNER, CLEAN CARFAX, 2013 HYUNDA GENESIS 5.0L R-SPEC, VEHICLE INSPECTED & SERVICED, NAVIGATION, DRIVERS ASSISTANCE PACKAGE, HEATED & COOLED SEATS, PREMIUM AUDIO, & MORE! COMES WITH EXTRA 4 BLIZZAX WINTER TIRES (NOT INSTALLED)! RUNS & DRIVES GREAT! NO MECHANICAL ISSUES! INSIDE/OUTSIDE IS VERY CLEAN FOR THE YEAR & MILES! CPO 3 MONTH OR 3,000 MILE LIMITED POWERTRAIN WARRANTY AVAILABLE! INSPECTED AND SERVICED!